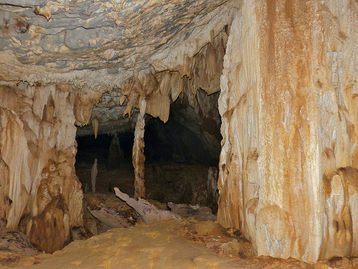 The 4 show caves have properly constructed cement or wooden footpath and there is lighting inside the caves. Wild caves have no lighting and pathway. Hazardous area requires ropes and guide assistance. Helmet and headlight provided. Advance booking required. 15mins boat ride and 10mins trekking through the rainforest to discover the mysterious dark world of cave insects and bats. Climbing up and down, doing vertical rope work, crawling and squeezing in confined spaces. 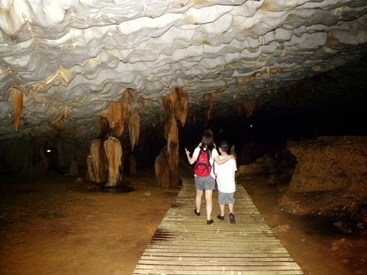 Having close encounter with cave insects, spiders and snakes. It can be physically and mentally challenging. Trekking into the jungle and encounter with the river channels and 50m high sheer rocks and steep boulder. It can be challenging for the fit and experience cavers. Entering the show cave via another entrance makes this tour interesting. It requires stamina and the ability to overcome fear of leeches and guano’s buds. Packed lunch provided.